Weddings, graduations, family reunions, and other events often create some pressure to lose weight immediately. This may be hard, but sometimes this pressure is what you need to hit your fitness goal. It’s all about looking and feeling confident in your skin, and if that means losing weight for you, then use the resources out there to make the weight loss process as easy as possible. Stress-related sugar and alcohol binges might be the worst thing for your health. Cutting out these two things alone will help your workouts feel better, your face look clearer, and the pounds to drop quicker. It always seems like a bad time to give these up because of any holiday or vacation, but once you decide to cut out alcohol and sugar, you will feel brand new. There is no easing into it—cutting out alcohol and sugar is like ripping off a band-aid. Alcohol can make you look puffy and retain water weight because your body is dehydrated. This can give you a heavier look that you want to avoid. It also may be what is making your face look bloated and puffy. A week or two with alcohol out of your life will have you sold on this lifestyle change. Sugar has similar effects, whether you notice or not. It also makes you feel slower and tired, which could inhibit your desire to workout. It’s interesting to note that sugar makes you hungrier, which could be a reason you are reaching for more sugar instead of a salad or fruit. You won’t regret cutting out these two substances. It may seem difficult but these are two easy fixes that many overlook. Supplements are great, especially when looking for some help in the initial weight loss stages. Many use caffeine to suppress appetite or speed up the metabolism. When you have a wedding or graduation coming up and want to look toned, some supplements can really alter how you look and feel after working out. Ephedra extract, for example, is a weight loss supplement that has similar effects to caffeine. Its properties give you energy and help burn fat. Ask your doctor about what weight loss supplements are best for you. Weight loss guides previously preached cardio to burn fat. Lifting was seen for only those trying to gain muscle weight. 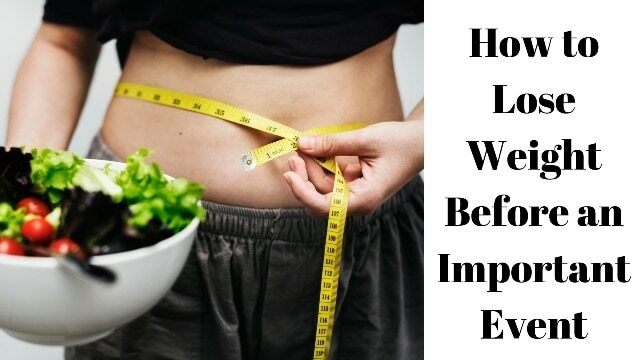 Studies have found that a combination of the two is the best way to optimize weight loss. Increasing muscle can help you sped up your resting metabolism, which will help you lose weight quicker and ultimately burn more calories. Cardio has been found to burn more calories than weight lifting per session, but a combination of the two is great for getting results quick and making sure your entire body is getting an optimal workout. Another great way to burn fat is through high intensity interval training or HIIT. This form of exercise combines cardio and weightlifting in a way, as it requires you to do burpees and push-ups. Essentially, you are using your body weight as weights and making sudden movements to increase intensity of the workout. This form of exercise often needs you to be in relatively good shape, so you might want to ease into it. Starting off with a combination of cardio and lifting is a great way to get your body working towards your weight loss goal. Once you are feeling your best and the event is nearing, head online and pick out a variety of boutique dresses to make you feel even more confident in your skin!